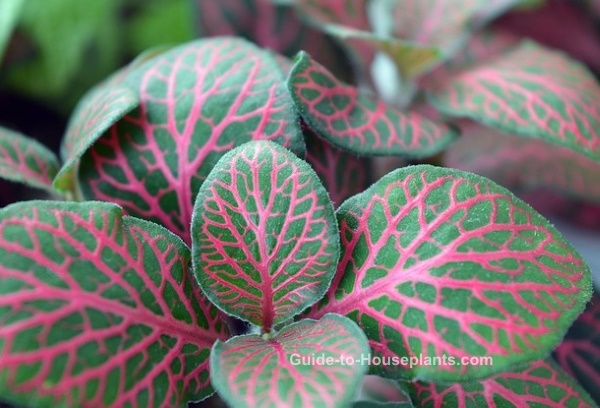 Nerve Plant has beautiful, deep-green leaves with vein patterns of white, pink, or red, making it a standout among house plants. Contrasting veins on Fittonia verschaffeltii add color and texture, creating living art. In its native South America, this tropical plant grows as a ground cover and can spread out about 12 inches (30 cm). Its low-spreading habit makes it ideal for dish gardens and terrariums, where it thrives with the help of high humidity. This plant grows best with even temperatures around 70°F/21°C. It doesn't like dry air, drafts, or direct sun, any of which may cause its leaves to shrivel or fall off. You may find Fittonia verschaffeltii for sale by other common names, such as Silver Net Leaf or Mosaic Plant. Pinch your plant. Pinch off stem tips regularly to keep plant bushy and full. Also pinch off any small flower spikes that may appear, because they are insignificant and will weaken the show of leaves. Mist it. This tropical beauty loves to be misted. Give it a fine spray of tepid water every morning to provide the moist air it craves. Or place the pot on a tray of wet pebbles to raise the humidity around it. Yellow leaves are a symptom of too much water. Too-frequent watering or poor drainage will cause foliage to turn yellow. Use a pot with a drainage hole to prevent soggy soil. Leaf drop is likely caused by cold temperatures or drafts from nearby windows. This tropical native prefers the same warm temperatures that you do. Dry, shriveled leaves are a sign of dry air or direct sun exposure. Room humidity can drop drastically in the winter months. 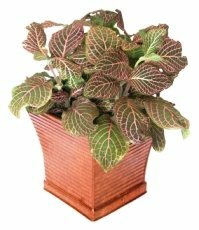 Use a room humidifier, if needed, and keep your Fittonia out of direct sunlight. Pests and diseases sometimes arrive with a new plant. 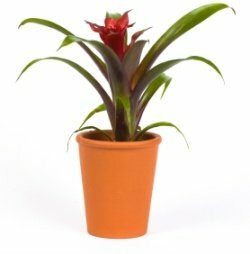 It's a good idea to look over your houseplants regularly for insects, sticky honeydew or sooty mold. Aphids are the most common pest for a young plant, because they feed on new growth. Treat any infestation immediately and isolate any affected plant to prevent pests from moving on to your other indoor plants. Light: Low to medium light. Avoid direct sunlight, which may cause shriveled leaves. Grows well under fluorescent light. Water: Keep soil constantly moist. Plant will collapse if it dries out. Yellow leaves on this plant indicate too much water or poor drainage. Fittonia needs moisture at all times, but it won't tolerate soggy soil. Cut off yellow leaves and allow soil to dry slightly between waterings. Humidity: High humidity (around 60-70% relative humidity). 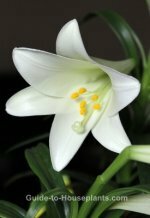 Grows well in the humid environment of a wardian case or a terrarium. Dry air will cause shriveled leaves. Temperature: Average room temperatures 65-75°F/18-24°C. Fittonia will tolerate a minimum of 60°F/16°C. Soil: Peat-based mix that holds moisture well, such as African violet potting mix. Propagation: Take 2 in (5 cm) stem tip cuttings in spring and insert them in moist potting mix. They propagate easily in a warm, humid environment, rooting in about 2-3 weeks.